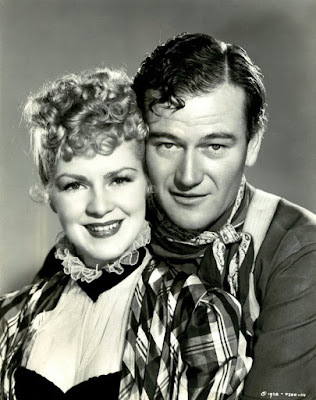 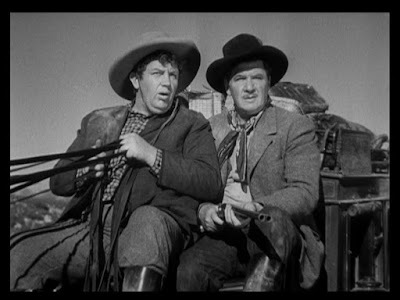 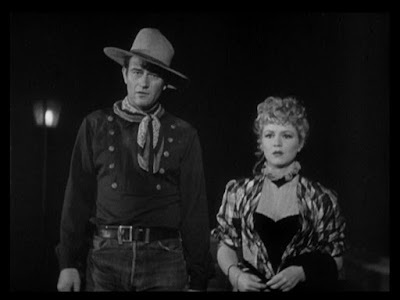 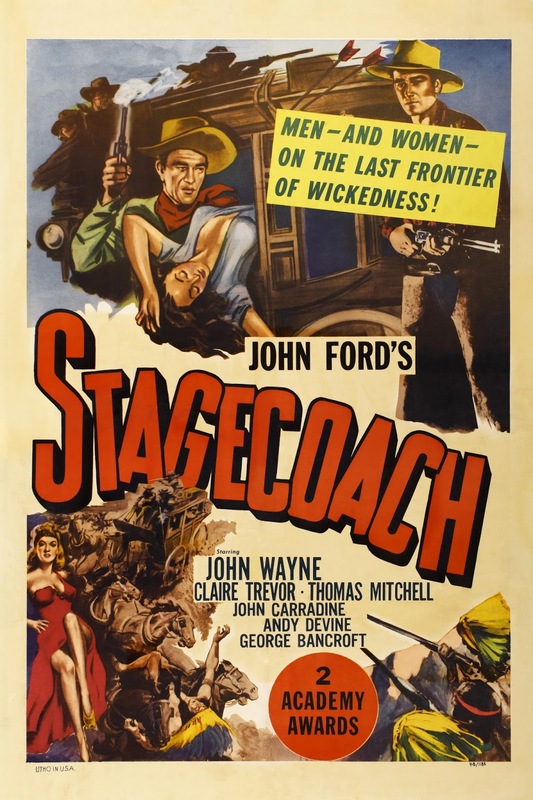 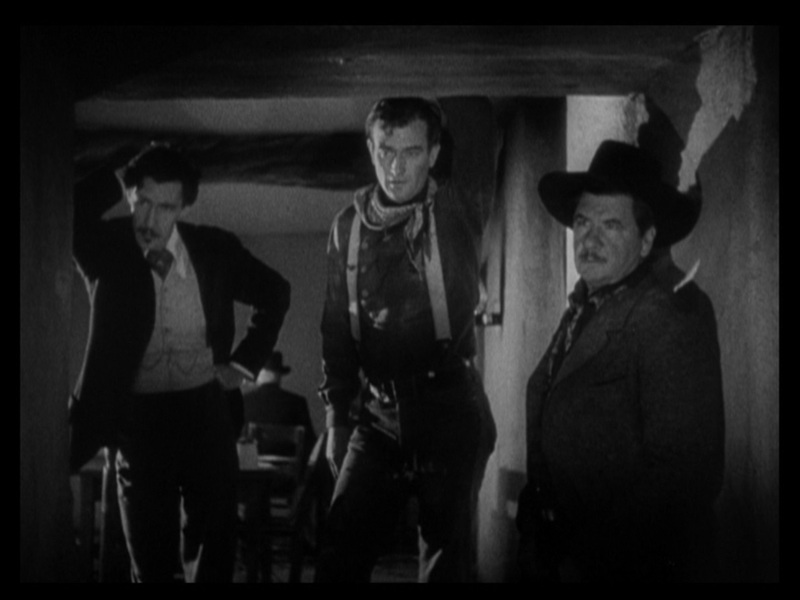 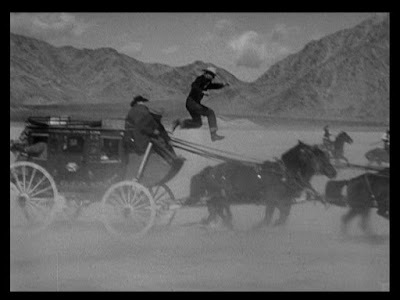 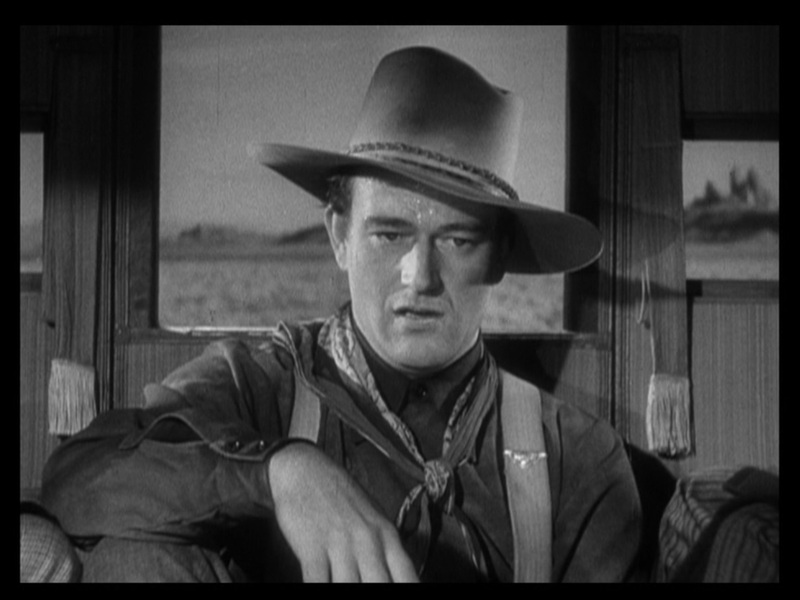 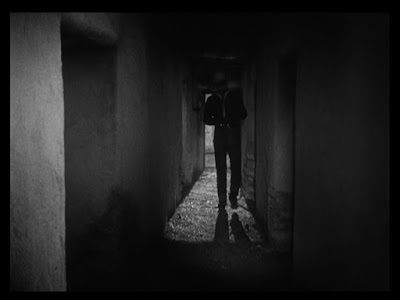 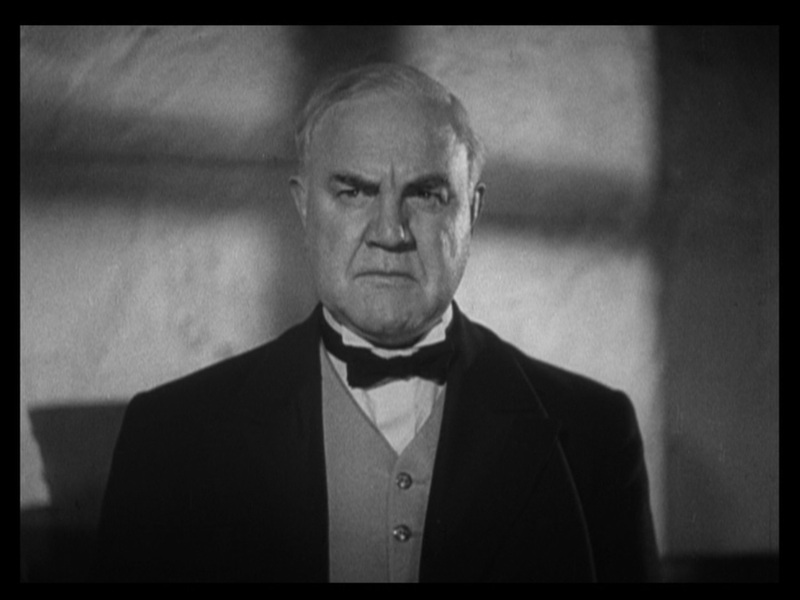 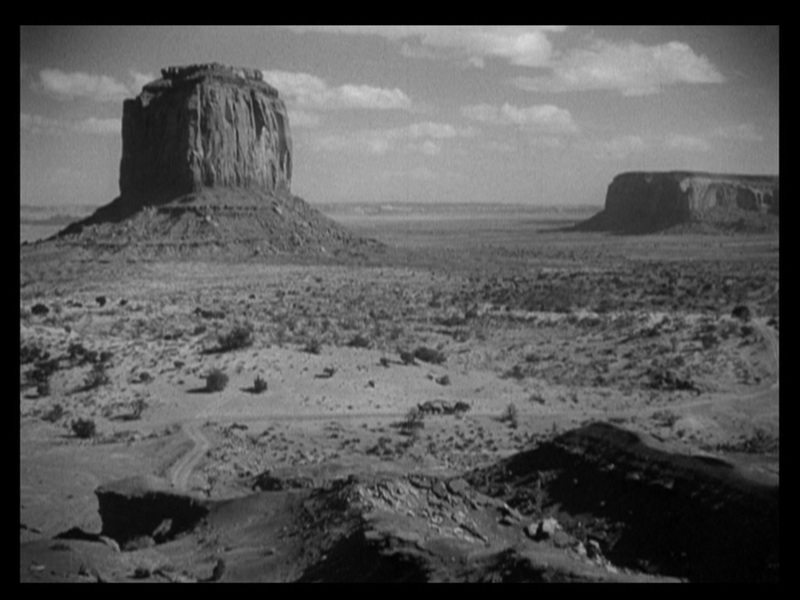 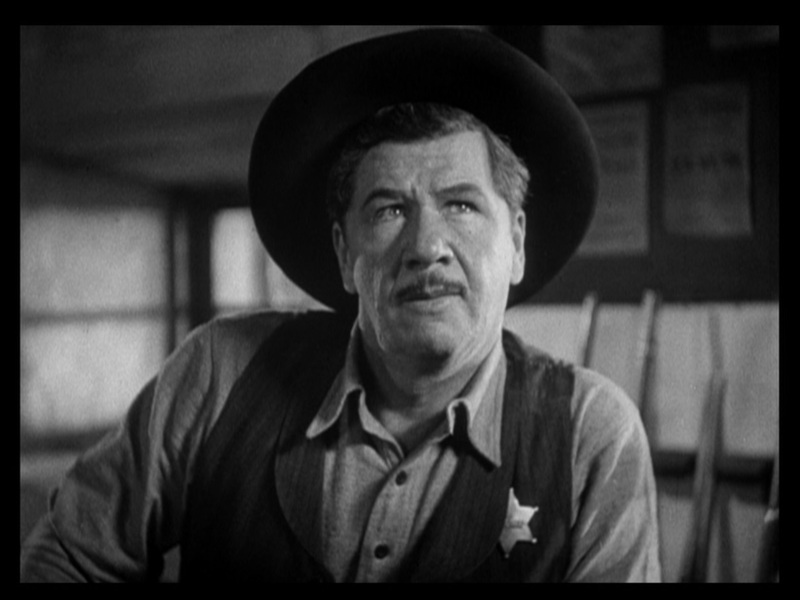 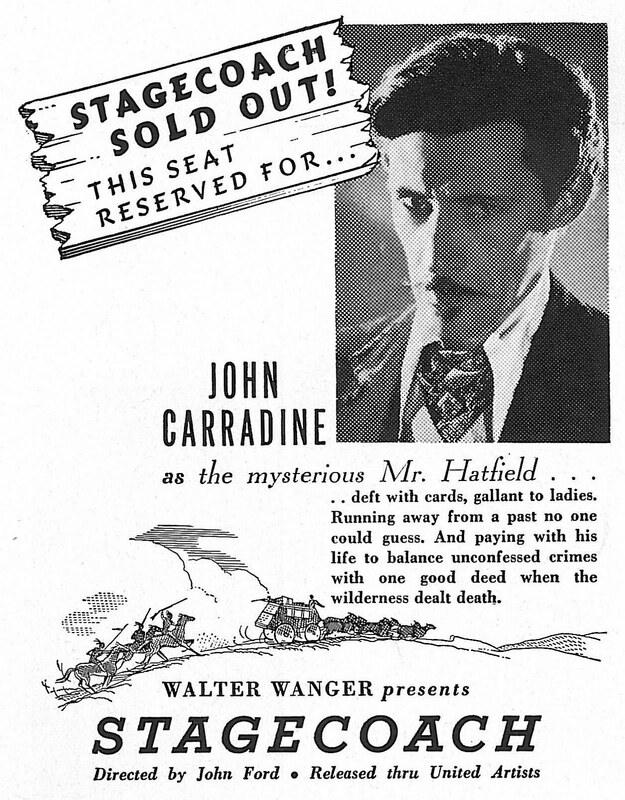 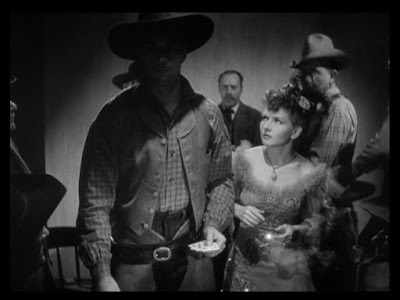 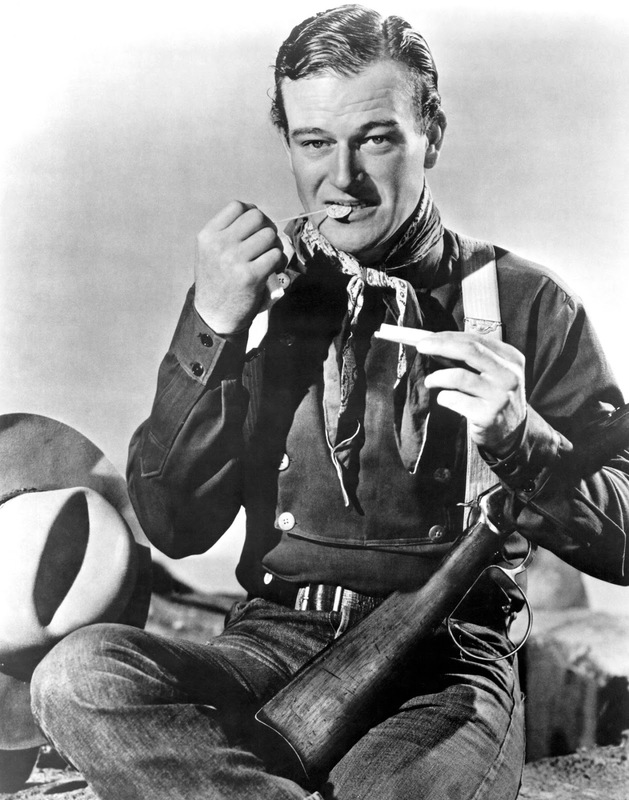 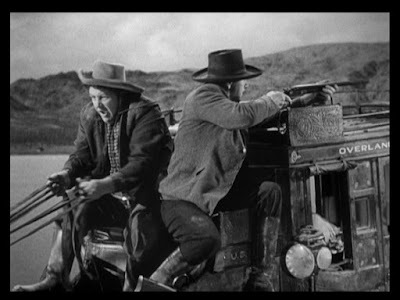 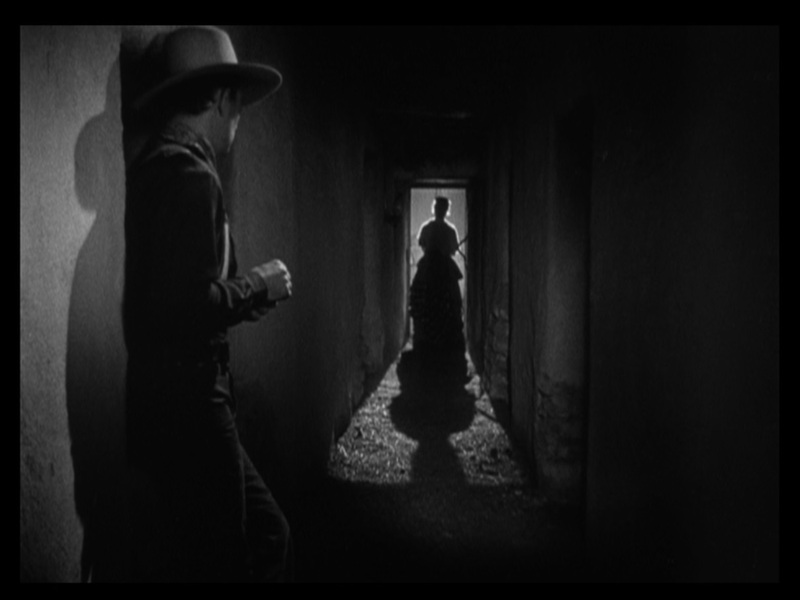 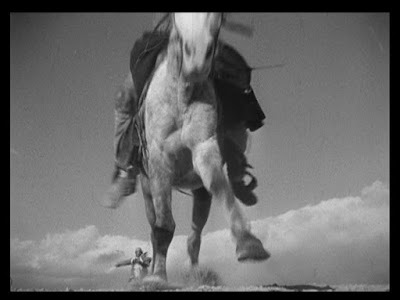 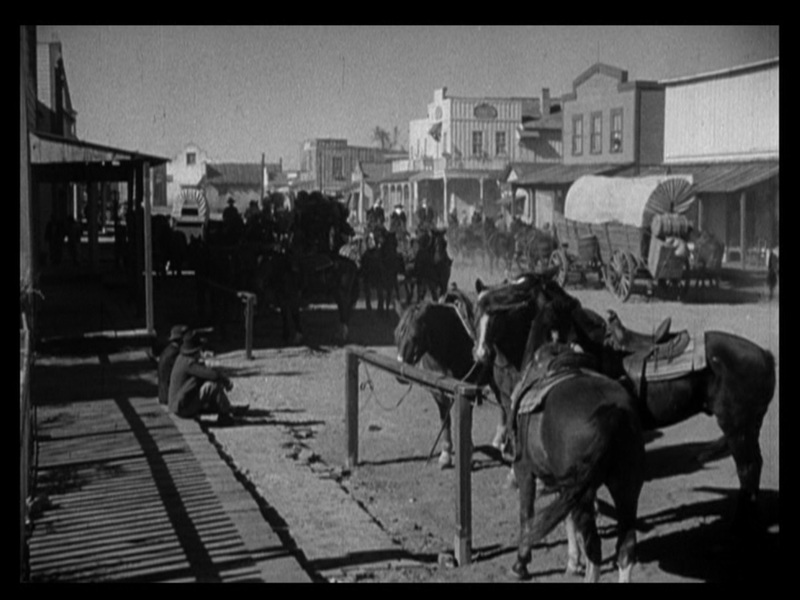 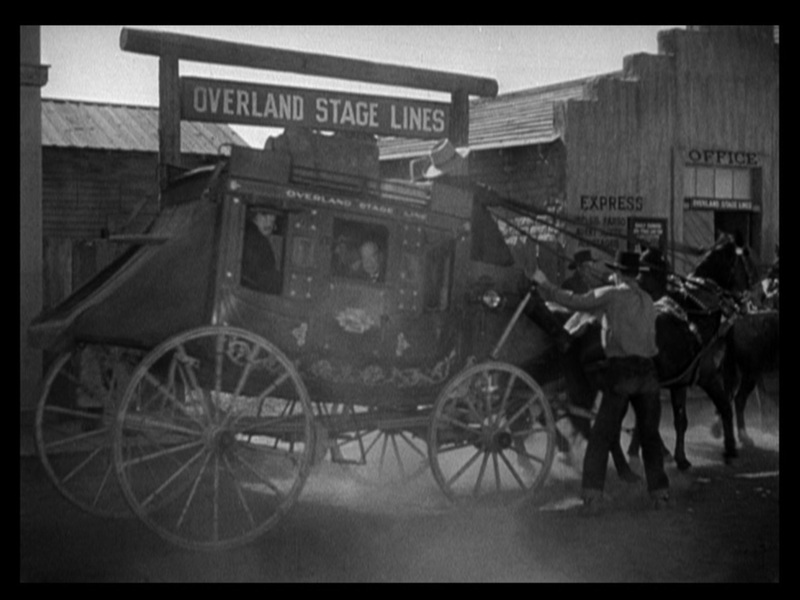 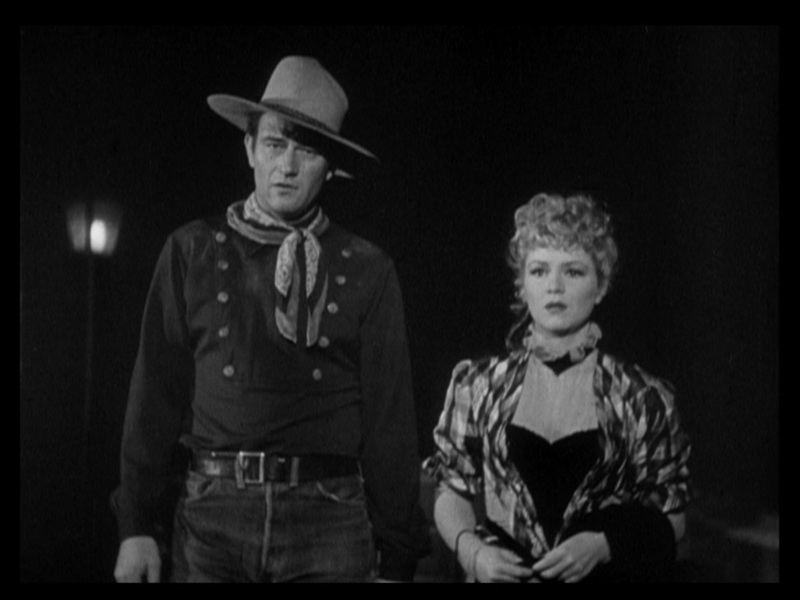 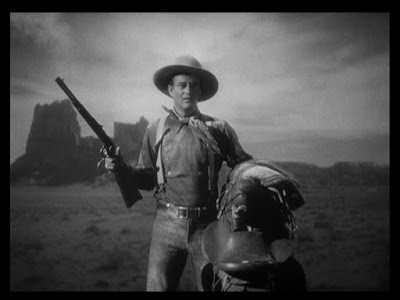 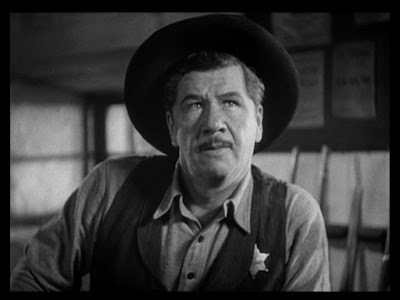 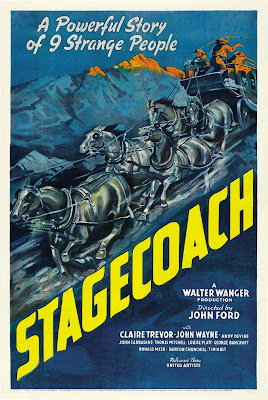 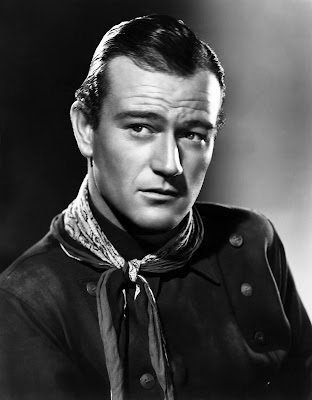 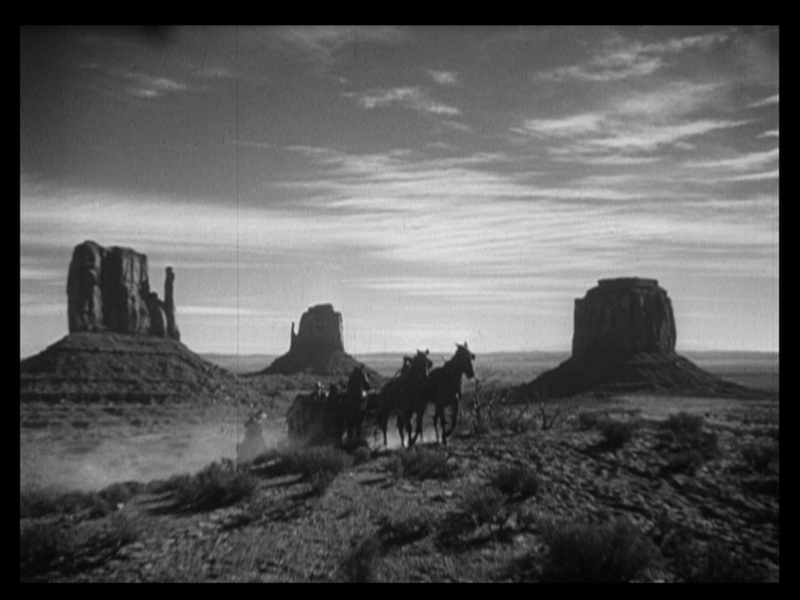 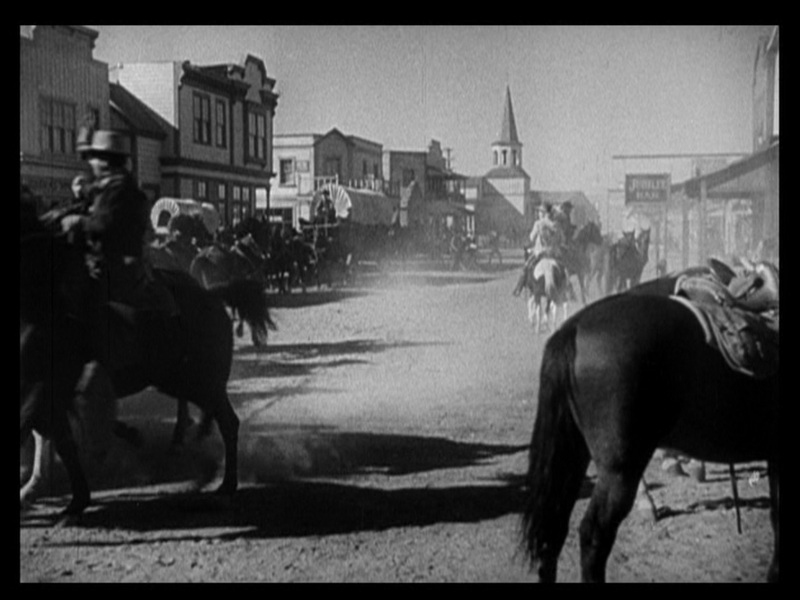 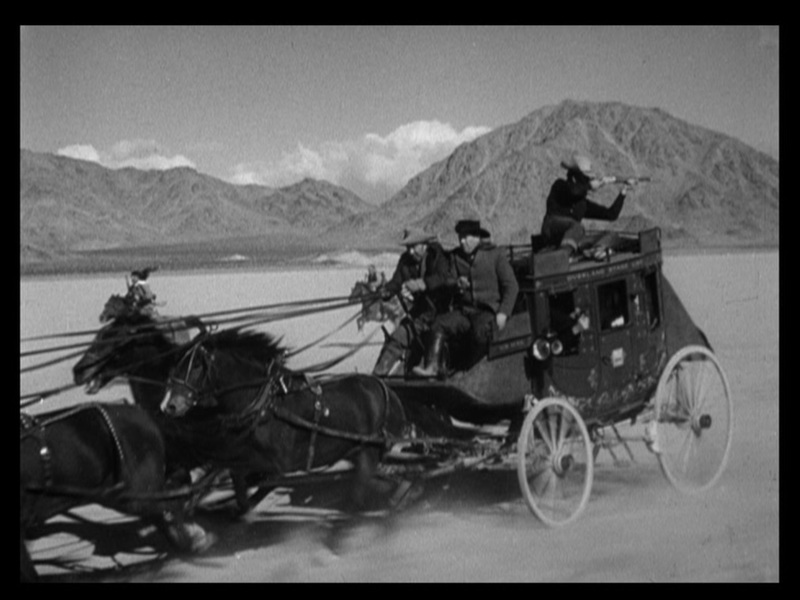 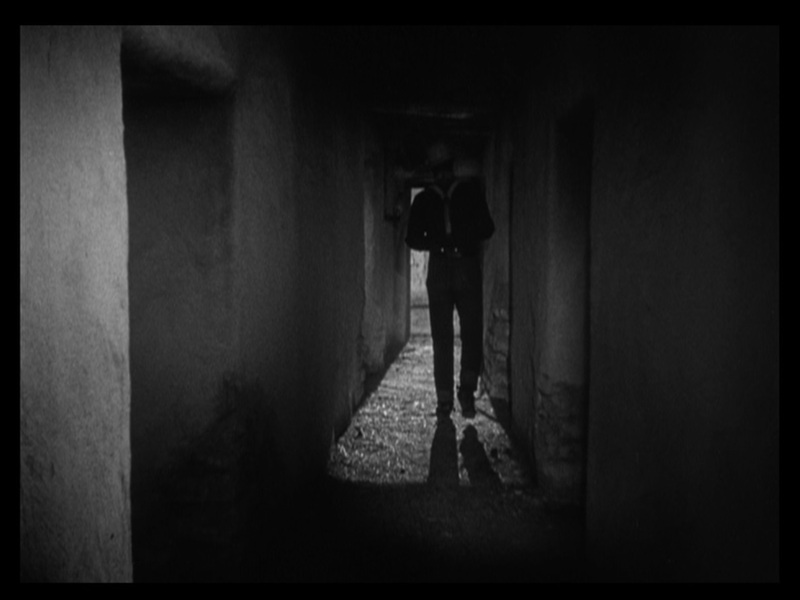 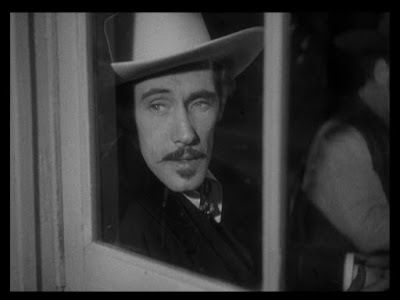 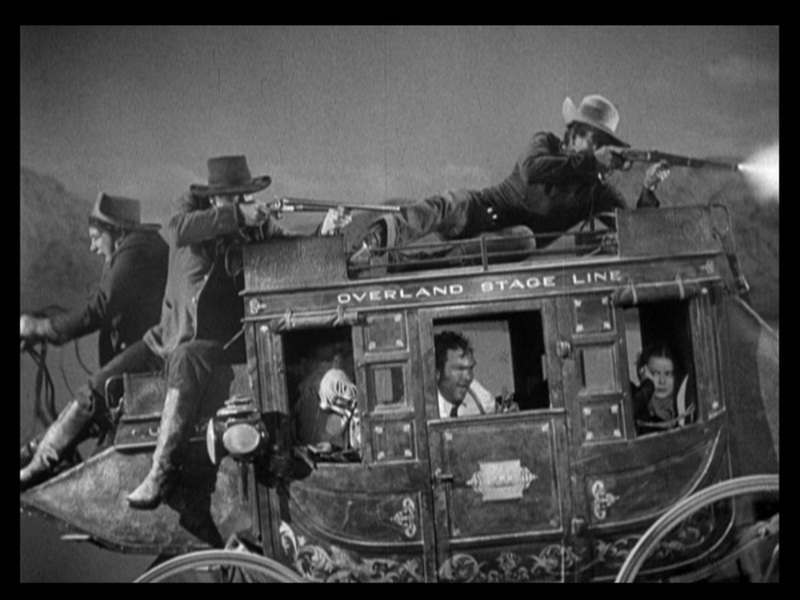 Anybody interested in Western films, especially classic westerns, needs to watch STAGECOACH. 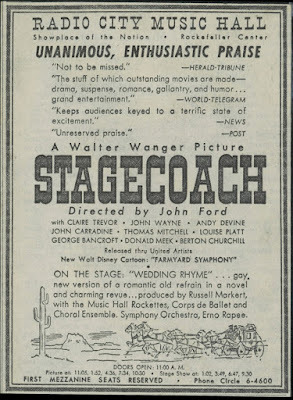 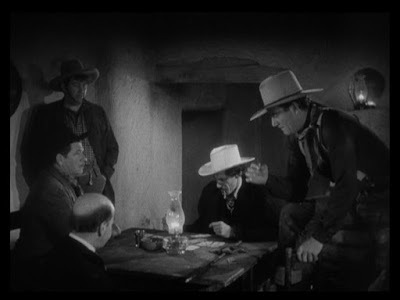 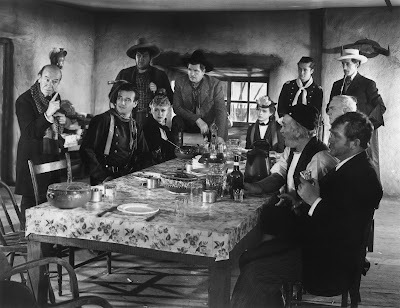 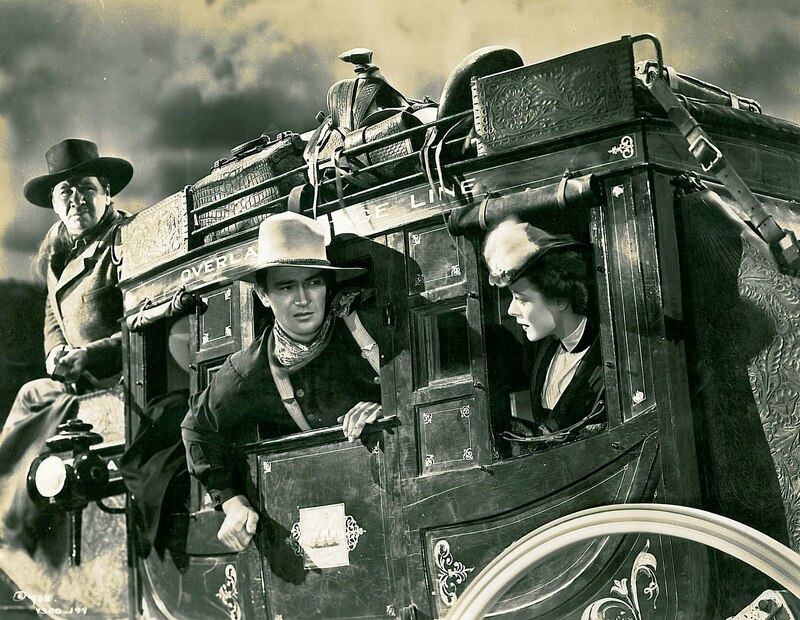 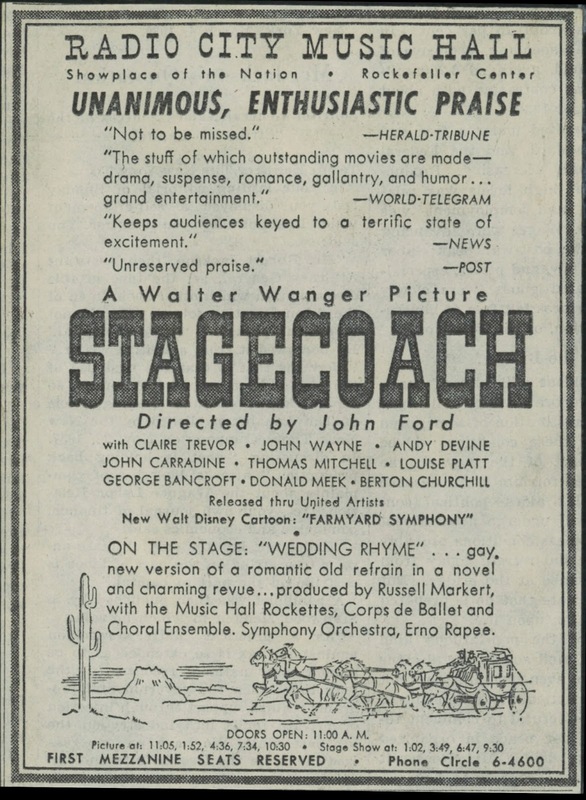 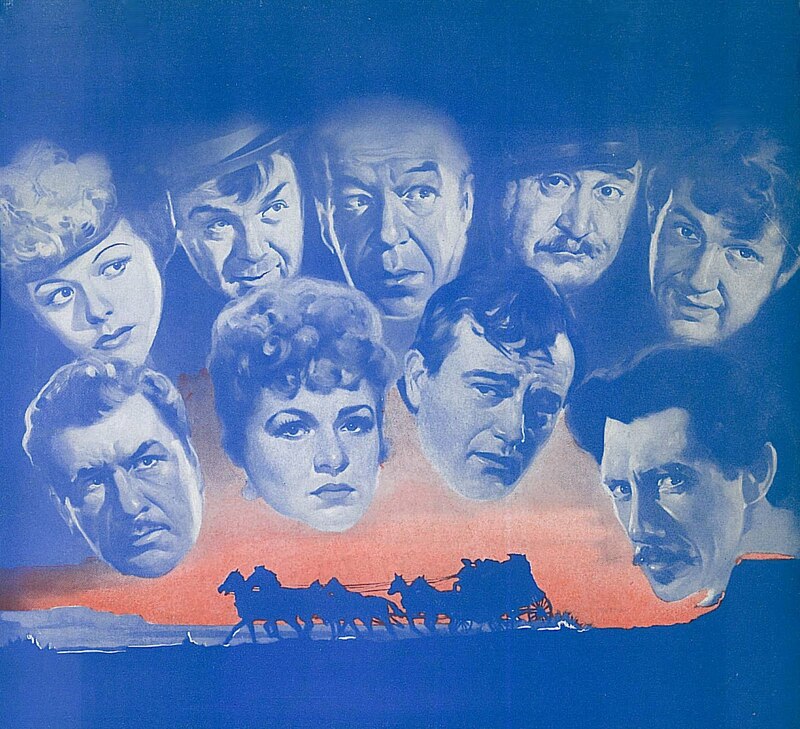 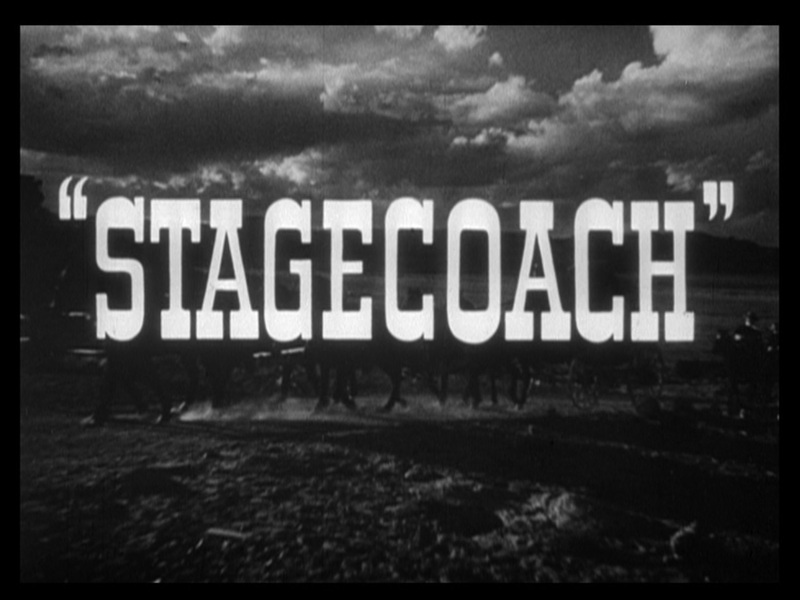 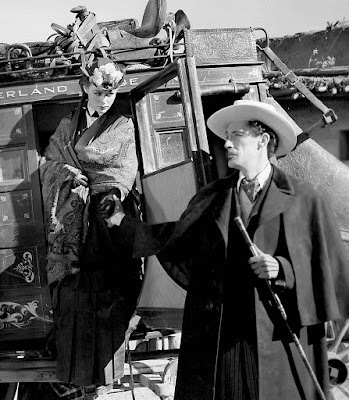 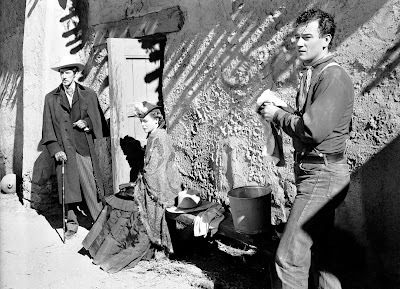 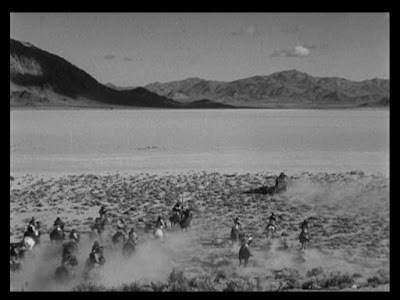 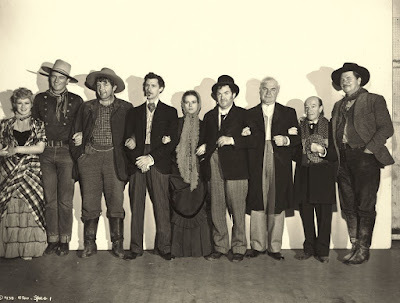 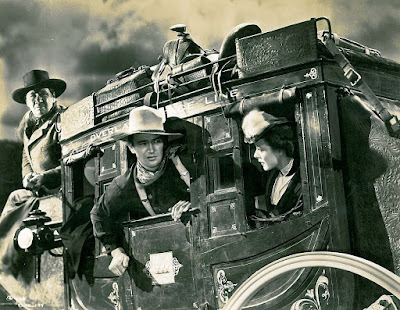 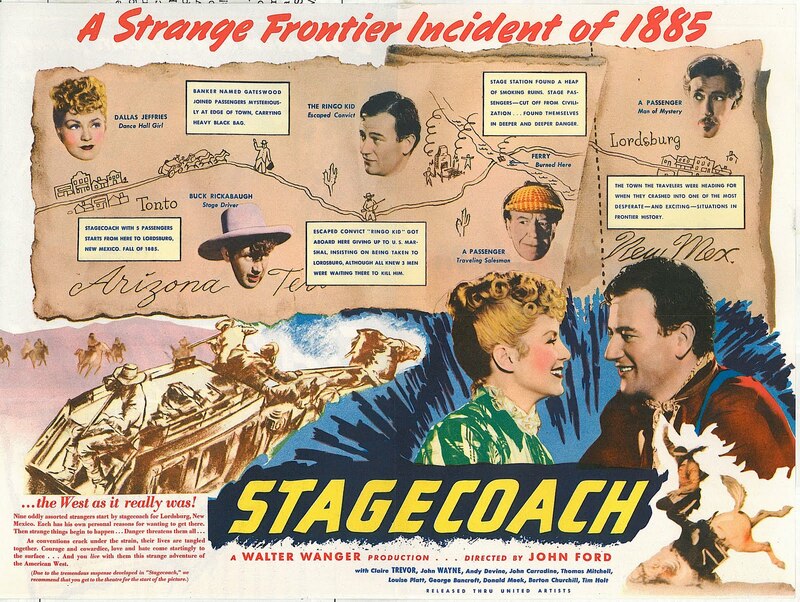 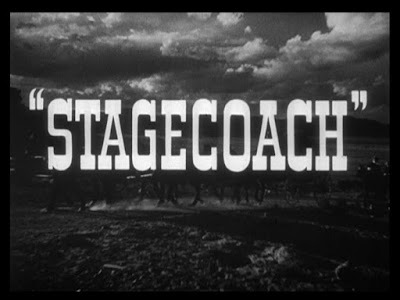 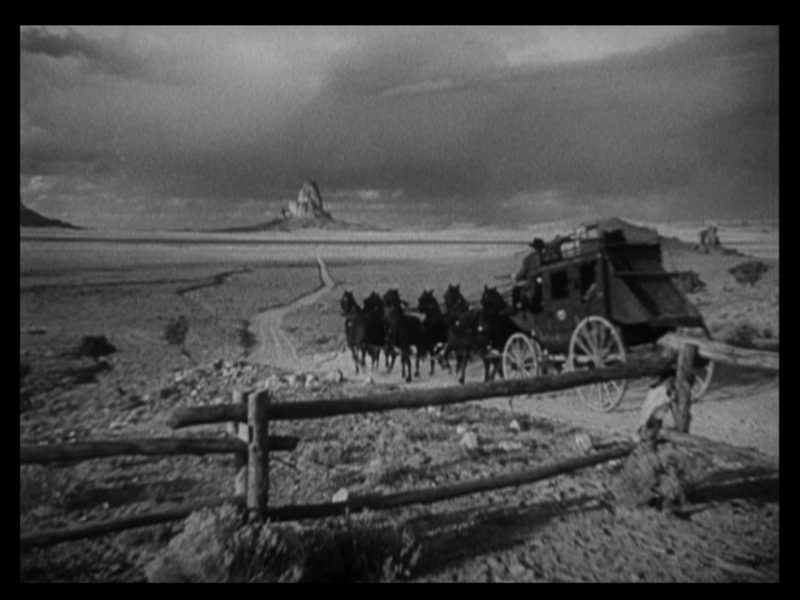 Set in 1880, STAGECOACH (directed by John Ford and featuring a great cast) is an ensemble western about a stagecoach traveling from Arizona to New Mexico straight through Apache territory. 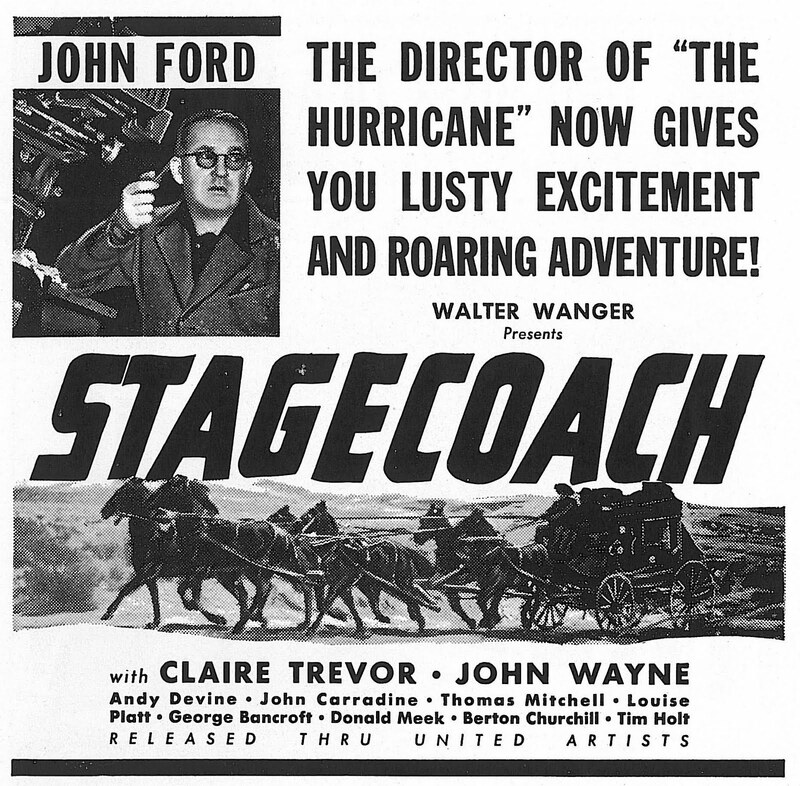 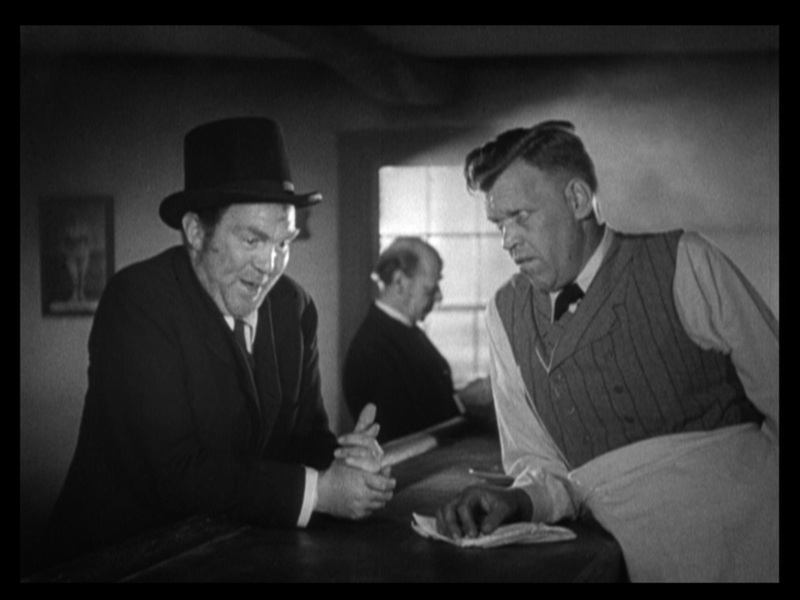 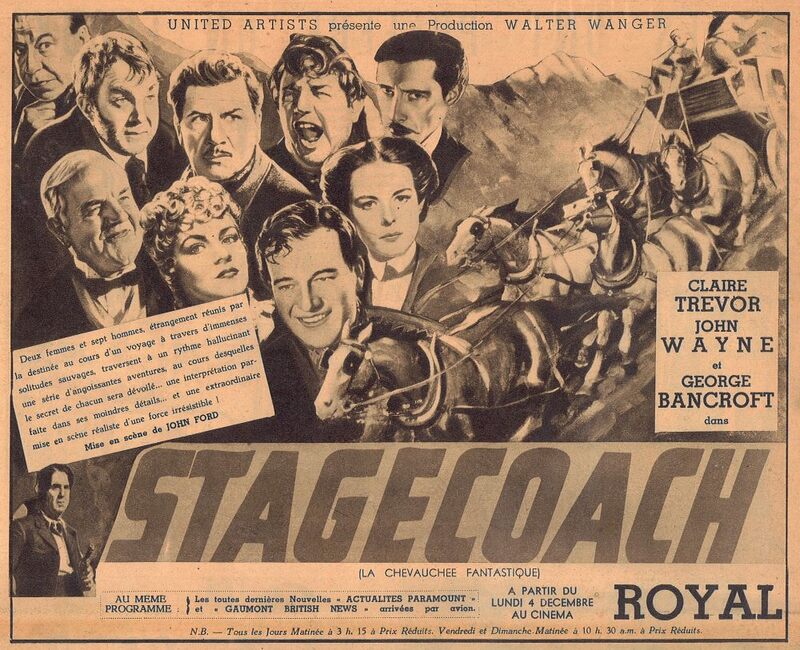 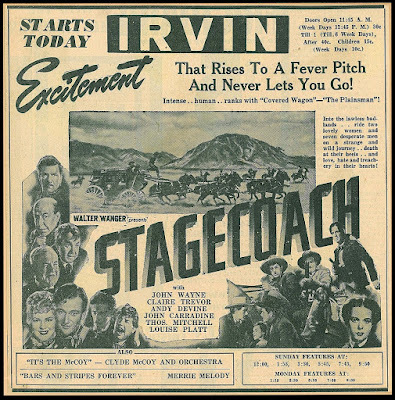 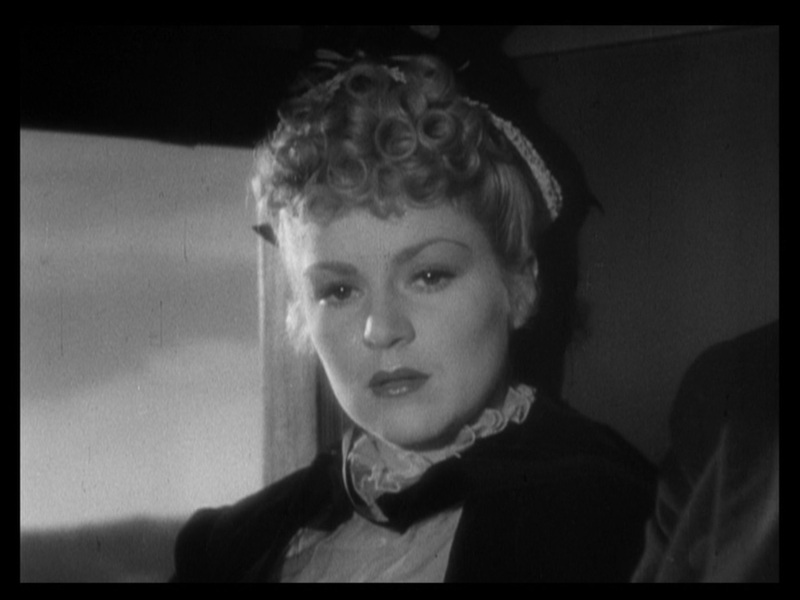 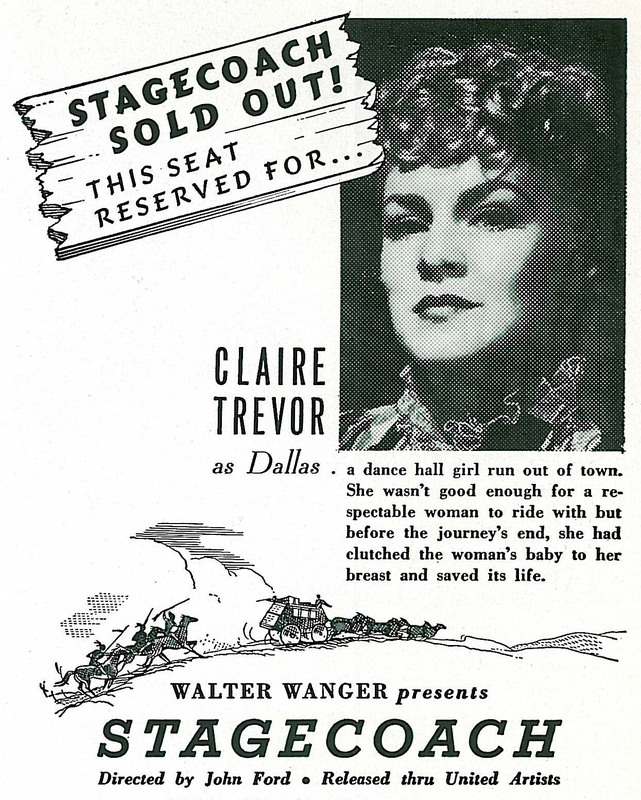 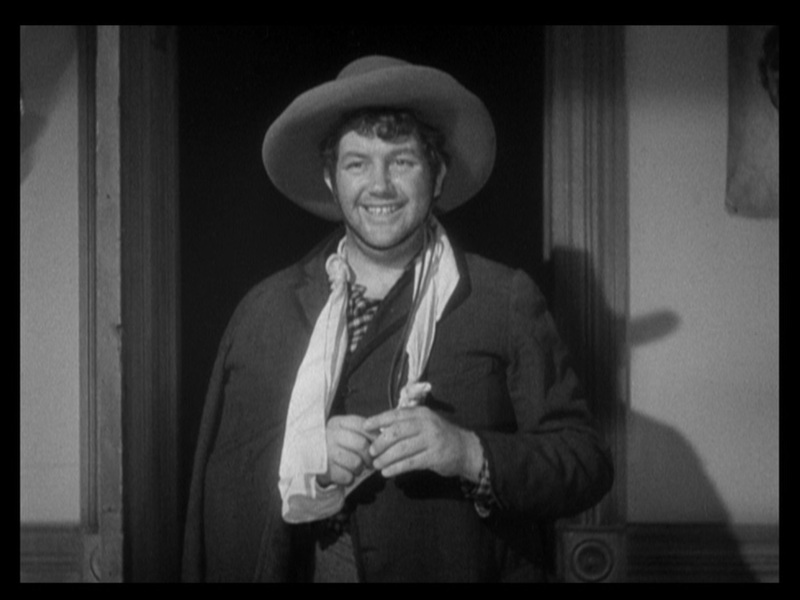 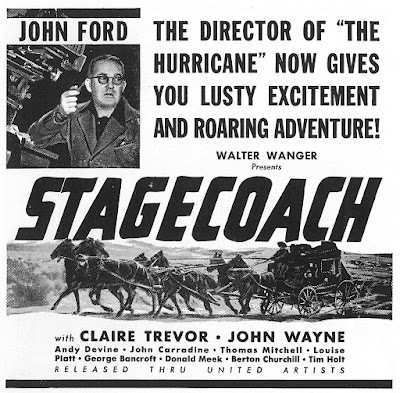 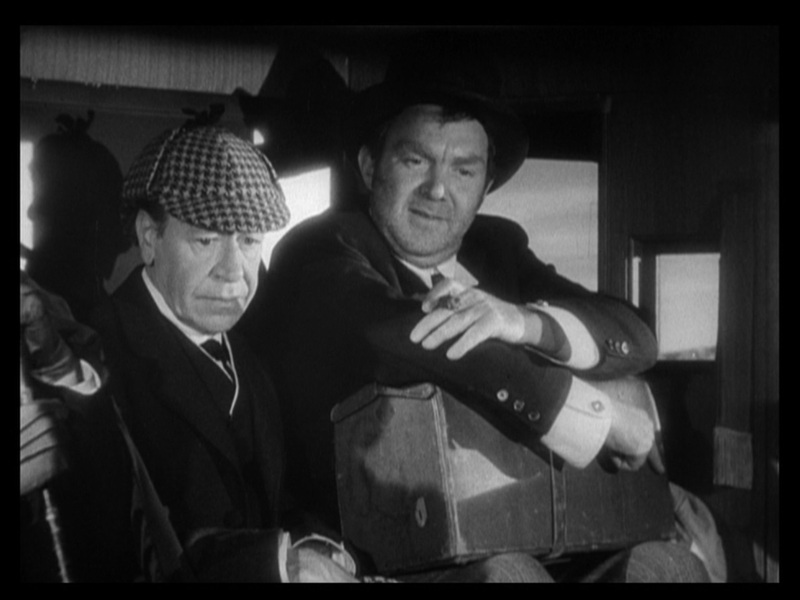 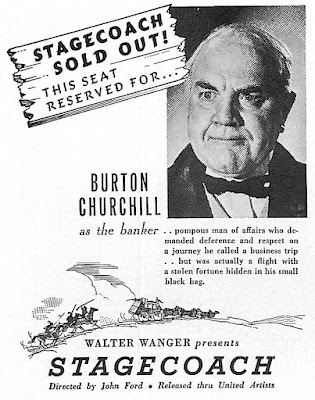 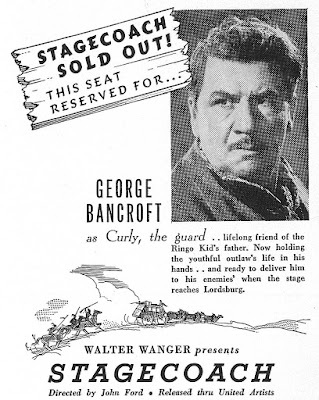 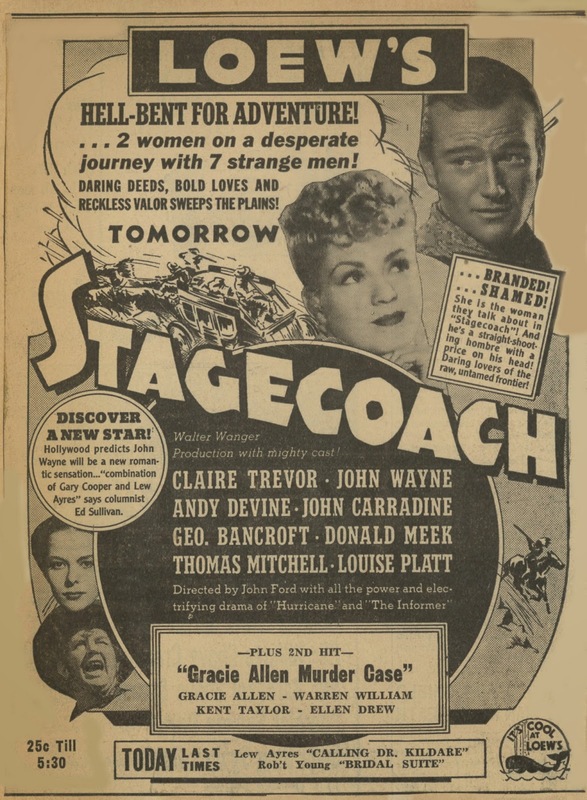 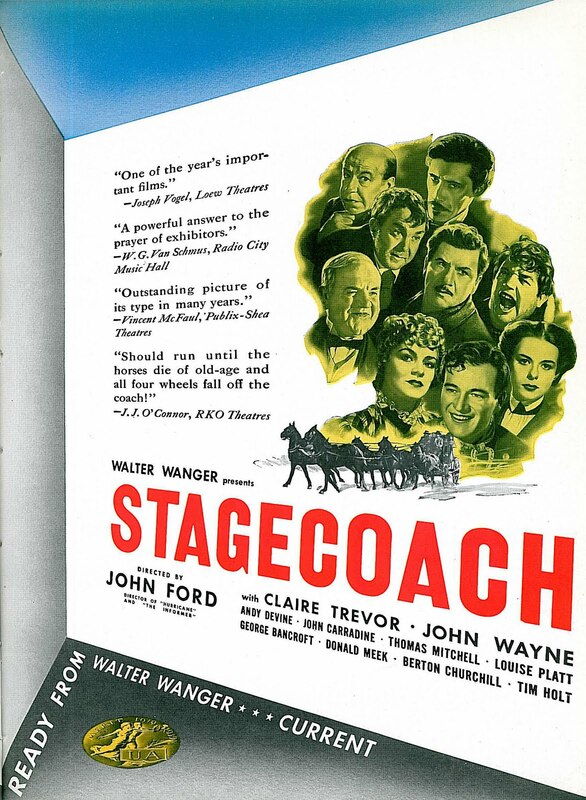 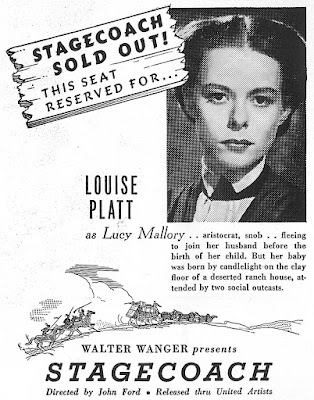 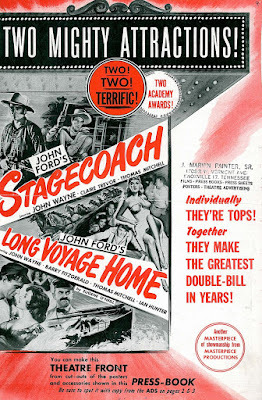 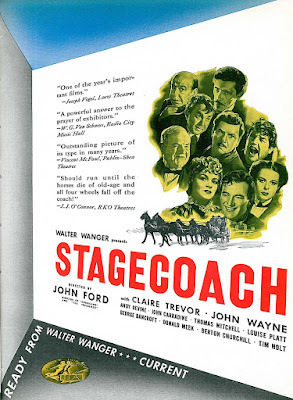 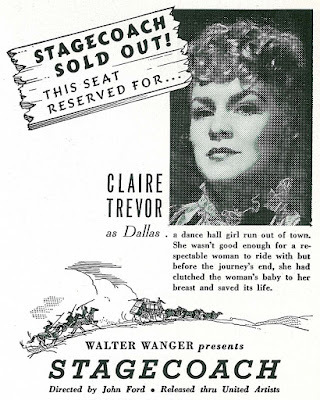 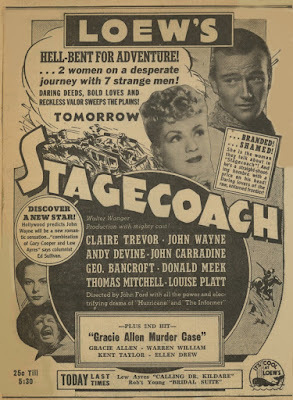 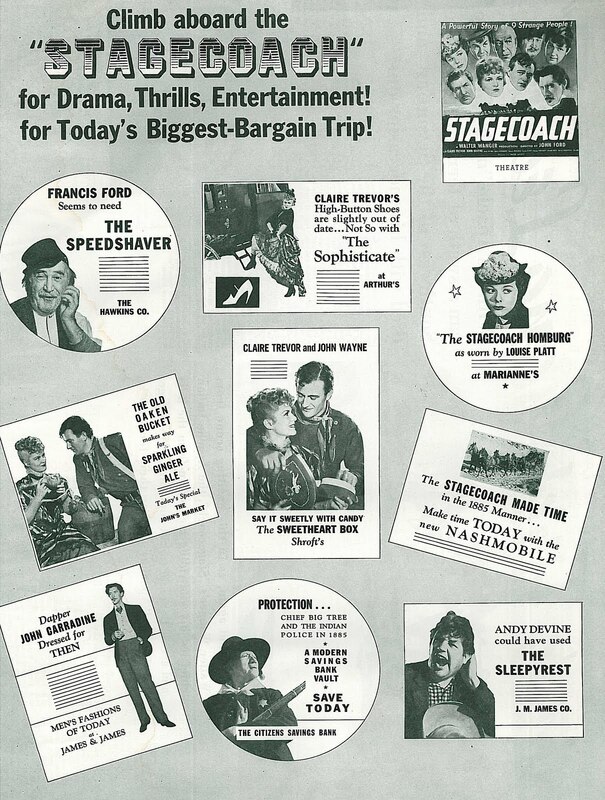 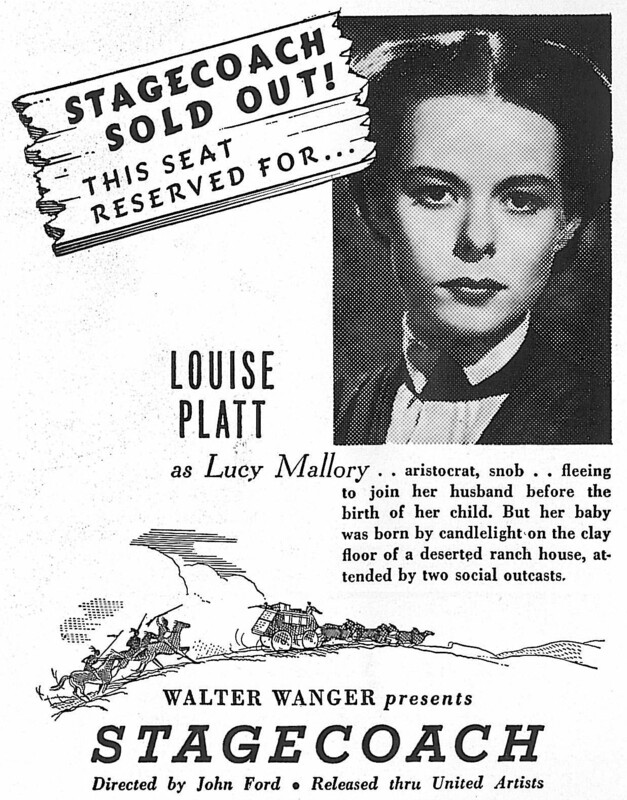 Early on, as the stagecoach driver (Andy Devine) readies the stage, we're introduced to the passengers: a banker (Berton Churchill) with a secret, a dance hall girl (Claire Trevor) being run out of town, an alcoholic doctor (Thomas Mitchell), a whiskey salesman (Donald Meek), a pregnant woman (Louise Platt) looking for her husband, a gambler (John Carradine), a marshal (George Bancroft) and then later on...John Wayne as a tough guy who broke out of prison to avenge his brother's murder. 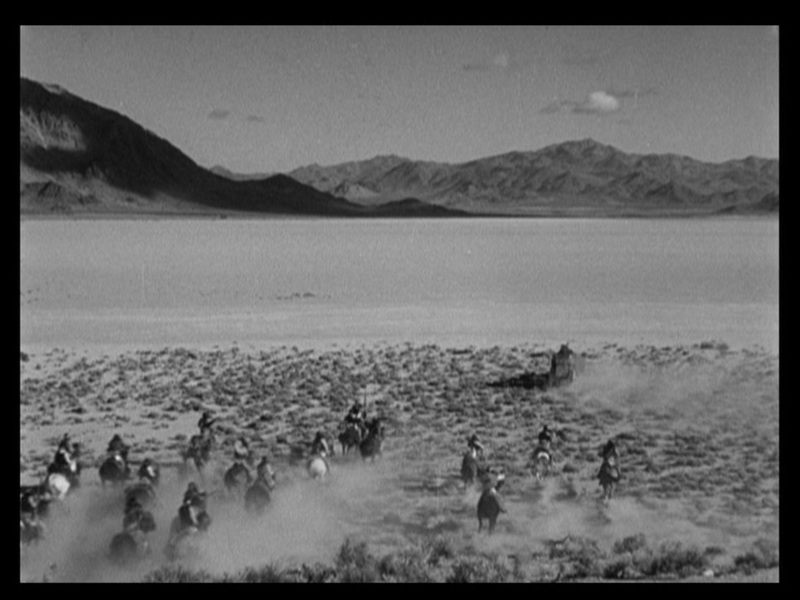 Things start out normal enough, but then the woman goes into labor and the Indians attack and things start getting exciting. 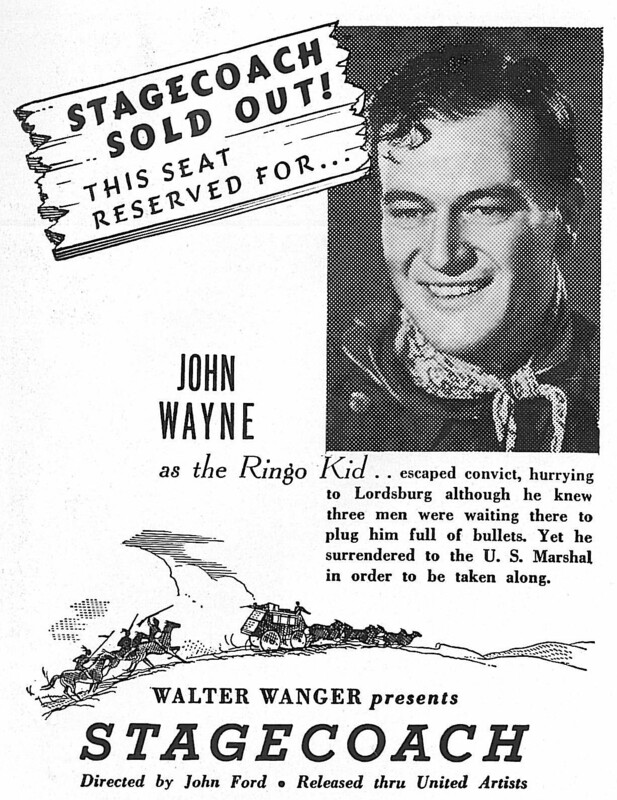 And let's not forget, Wayne hasn't avenged his brother yet! 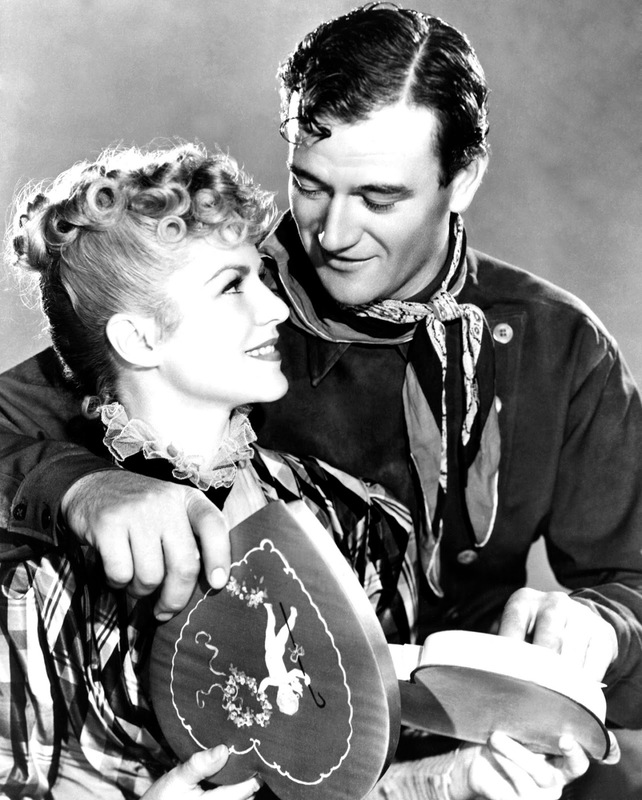 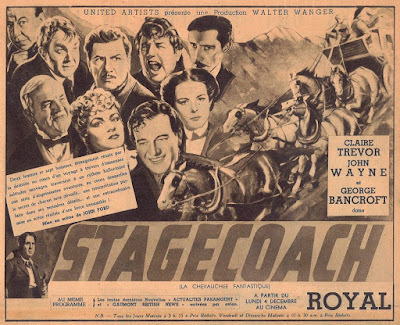 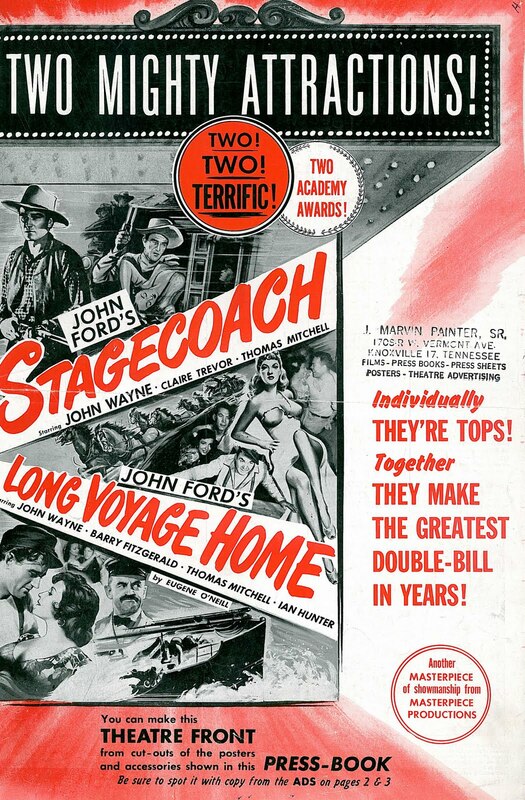 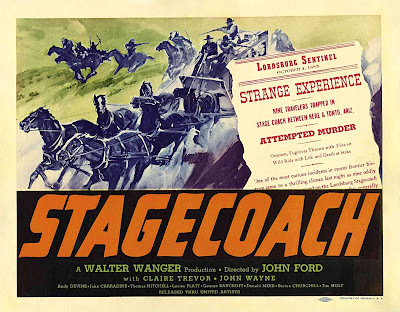 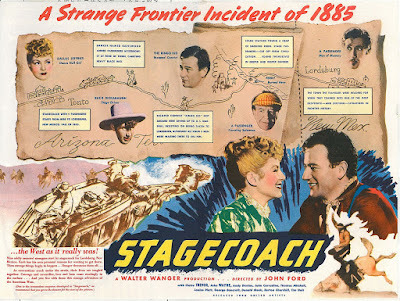 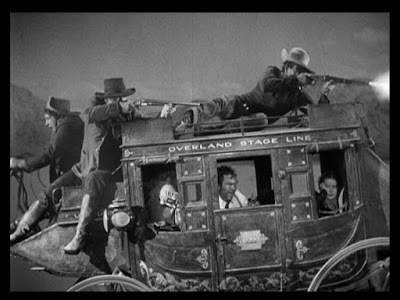 Being close to century old, STAGECOACH is definitely dated, but it's still an enjoyable watch and, at least for me, I got an even bigger kick out of watching the cast and studying the filmmaking techniques than I did the story. 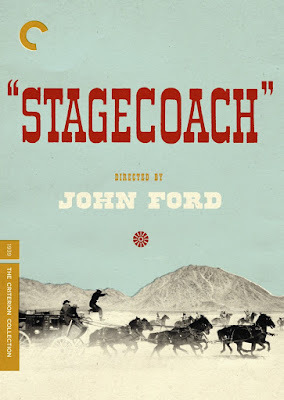 A fantastic cast full of beloved faces, steady pace, great camerawork, beautiful Monument Valley scenery, strong direction, good story and one especially impressive stunt. 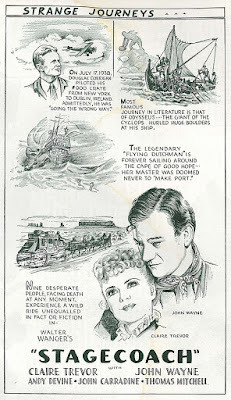 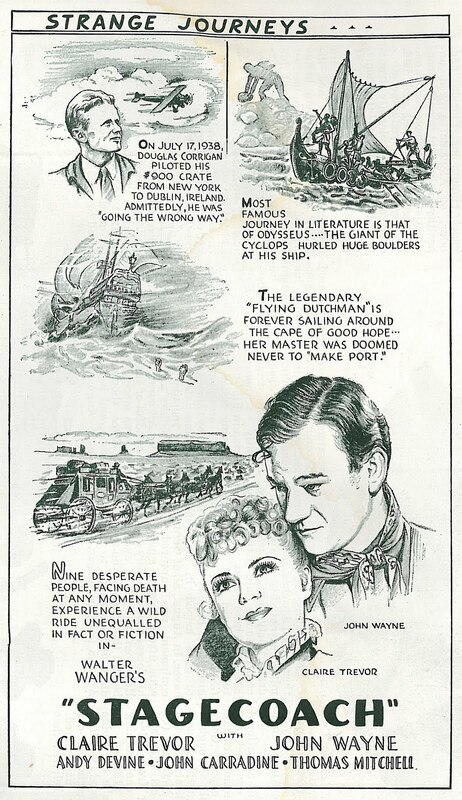 Recommended for classic western fans.